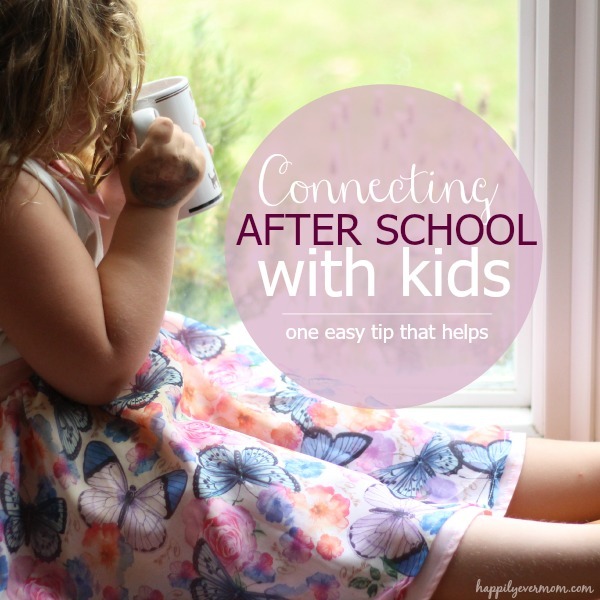 I’m always looking for simple ways to connect with my kids. 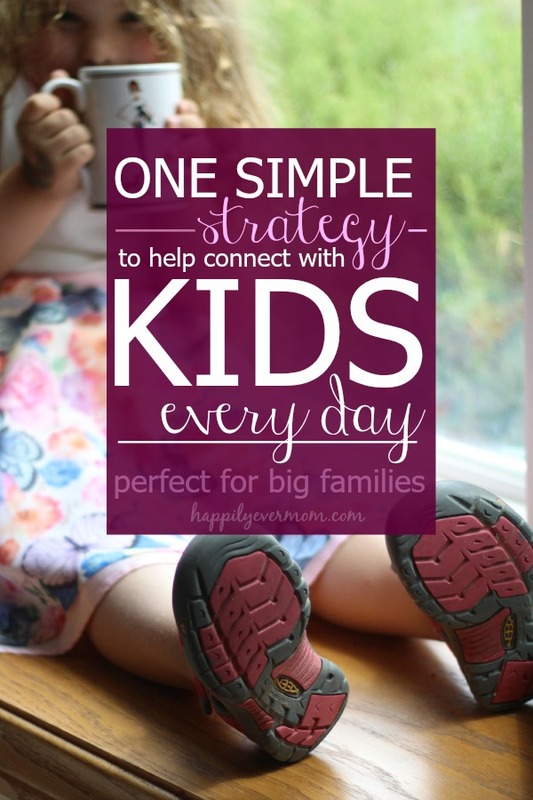 Whether I connect with my kids by using a few simple tricks or by setting up special dates, I always try to make an effort to get special time with each one of them. But, that doesn’t mean that it comes easily. Sometimes it feels like my house is full of tears, sibling squabbles, poopy diapers, and lots and lots of stress which leaves little time to connect. That’s why I really love this simple strategy that I learned a few years back. It’s a no-fuss, quick way to be mindful of connecting with our kids everyday. I started thinking about this simple strategy again when I quit drinking diet coke ((woohoo)) and I started to fall in love with drinking tea. My five year old daughter loves to drink tea, too. From pretend tea parties to telling me to raise my pinky finger while I hold a tea cup, my daughter loves to have special time with a warm cup of liquid in her hands – my English Grandma would have been so proud. So, there we were, my daughter and I chatting after school. 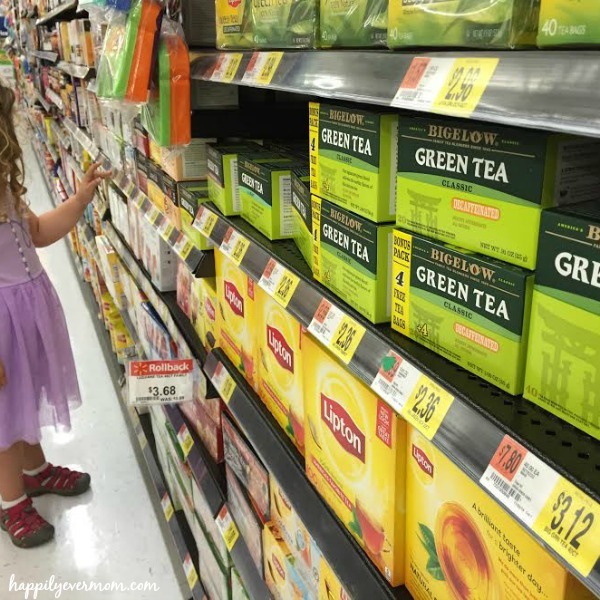 She held a cup of peach tea in her hands that we grabbed from our big collection of Bigelow tea from Walmart (okay, I bought us enough tea to last a lifetime…) and we just started talking about the day. This strategy was one that I learned years ago while I was a camp counselor. It works great in big groups because it really helps you to get to know each individual within the group, or at least make an effort to get to know them. But, now, we use it with my family. Everyday, between you and your partner, decide who is going to be your one on one for the day. Your one-on-one is the person that you try and ask questions to, to sit next to at the breakfast table, and try to have a little extra time with, etc. The key word being try. 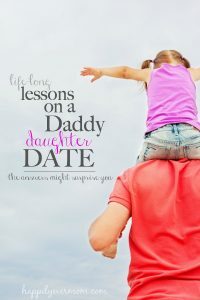 You don’t tell the kids that they are your one-on-one, you don’t have to be obvious, it doesn’t have to be over the top, but it does have to be a conscious effort to key into that person for the day. Just try to connect with them a little bit more for the day. For my daughter, that means sipping tea together and chatting, but for my son, that means playing trains or snuggling. Each person is different! Because one-on-one time matters. It not only makes our kids feel special, but also more connected. What if you don’t have a big family? Don’t forget your spouse or yourself! Dedicate one of your one-one-ones to be YOU and you’ll be happy that you did! So, if you find ME sipping on a cup of tea alone by the window? Shh…sweet babies. I’m Mommy’s one-on-one today. You can check out our sponsor Bigelow Tea on Facebook and Twitter. While this post is sponsored, all of the thoughts and ideas are my own. 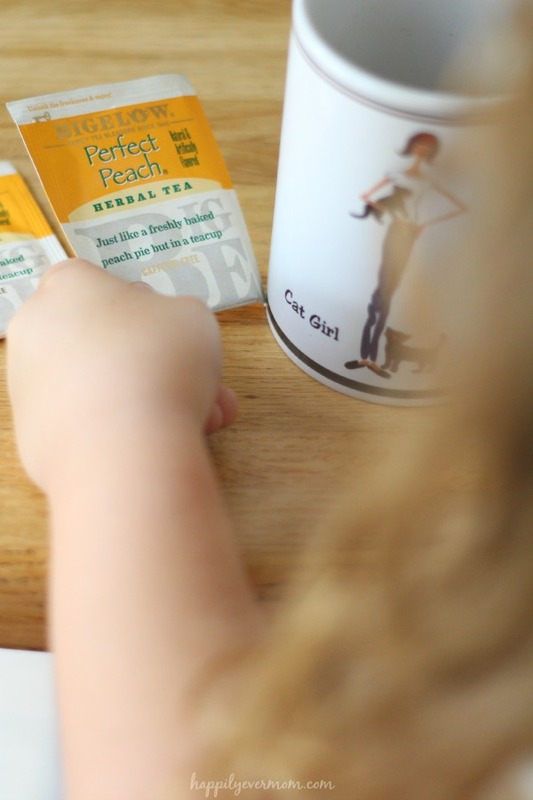 We worked with Bigelow because my husband, a life long lover of tea, is a huge fan of the brand – and, now I am too! Congrats on your little one, Rachael! I hope you enjoy tea time as much as we do 🙂 I really wish we had some beautiful tea cups, too ~ how fun! !